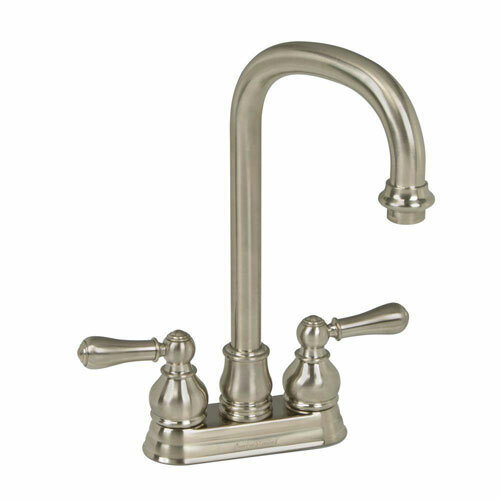 The American Standard Hampton 2-Handle Bar Faucet in Satin Nickel is designed to complement your bar or game room lavatory decor. The 2-handle design makes it possible to precisely adjust the water temperature and the high-arc swivel spout makes access to the sink easy for filling pots, as well as for cleaning the sink. The lever handles meet ADA requirements for universal use. Item Boxed Weight: 1.55 lbs.